Manufacturing and Trading of Cable Accessories and Connectors. Founded in 1991, Hex Cable Accessories Pvt. Ltd. has been engaged in manufacturing & supplying a comprehensive range of Cable Connectors & Accessories. 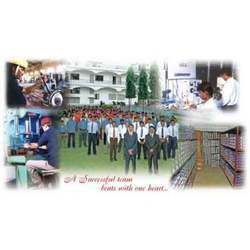 Based in Mumbai, Maharashtra, India our company has become the largest industry of Asia. Our product range comprises Cable Glands, BW Cable Glands; Nickel Plated Brass Gland, Earthing Tag, Wiping Gland, PVC Shroud, Lock Nut, Earth Bar, Gland Kit and many more. We share a close working relationship with our retail chains and distributors. Further, we owe an effective network of dealers and distributors worldwide which facilitate us in offering the products to the destinations within proper time. Further, we are backed by a team of dexterous professionals who generate innovative range of products for our clients. We also offer pre and post sales services to our clients. With timely delivery, centralized service and client oriented approach we have become successful in making a new signature of success in the market. We are in the path of making consistent growth and have expanded our business throughout the entire globe. Maintain a satisfied customer base with quality products that meet application requirements completely. We aim to secure the exiting customers and concurrently augment new customers to the HEX Family. The culture of our company is reflected in the quality which we offer to our clients. The pre and after sales service which we offer truly express the culture we possess. The human capital who are being the pillar of our success, support us in every pros & cons situation and set us apart in this competitive world. We have implemented the upgraded and latest technologies in our company which backed us to produce best quality solutions and uplift in the market. With the help of advanced technologies and sophisticated production tools we have increased the quality of products and increased the production as well. Further, these advanced tools also help us in meeting all the environmental norms and reduce the wastage. Before stepping into any project we usually develop a concrete plan to execute the project without any flaw. We have employed ABC analysis for production planning and inventory management which make us to easily handle the production. Further, we have also incorporated ERP tools to integrate our sales, production, purchase and dispatch division. In our organization, we share a homely atmosphere and healthy working environment which enable us in establishing a balanced work flow inside the organization. We value the moral of each employee and motivate them which further influence us to put their best potential ahead. We extend similar values in our dealings with the distributors and channel partners.